A band of Knight's Templars, on a mission to the new world, find themselves being hunted by unknown Demons. Currently, I am acting in a few short films and raising money for my next Feature called Runes–Templar Knights meet predator vibe, a little different genre then Paper People. Expect the almost same cast as WAR PIGS. I'm fascinated by the Crusades as a time period in history and I have a few books on that era and the Templars themselves. Shame this probably wont reflect my enthusiasm though. Re: RUNES (Luke Schuetzle, 2016-2017) (announced / pre-prod? I'm not sure there's a real "commitment" on this one, probably just got an agent letter of interest while still setting up and trying to fund the project. dude hallenbeck wrote: I'm fascinated by the Crusades as a time period in history and I have a few books on that era and the Templars themselves. Shame this probably wont reflect my enthusiasm though. I've always envisioned a period movie about the crusades that reflected as much historical accuracy of that time as possible. I mean how great would it be to have a large portion of the story include the Byzantine Empire and Dolph in the role of a veteran/leader of the Varangian Guard -- the Byzantine Emperors personal retinue of scandanavian warriors. 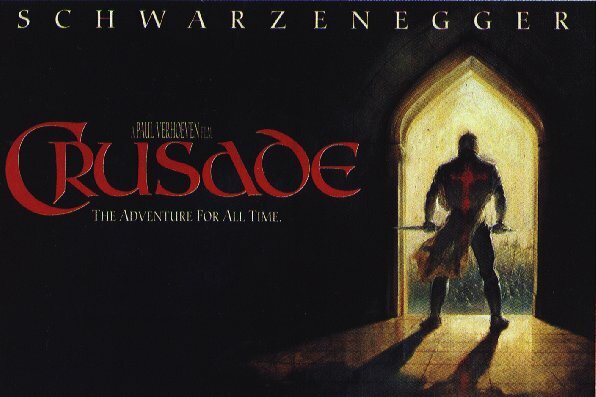 Remember CRUSADE, the aborted Paul Verhoeven / Schwarzenegger project (penned by THE WILD BUNCH writer Walon Green)? OH yeah. I think (and I'm probably wrong) but when they couldn't get that off the ground it eventually evolved into Gladiator. I'm pretty sure they tried to attach Arnie to that but ended up with RCrowe who did a great job to his credit. I remember a lot of people were pretty pumped about that concept... I think Arnie was fully behind it for a long time as well. GeneralMcFaiL wrote: I think (and I'm probably wrong) but when they couldn't get that off the ground it eventually evolved into Gladiator. I'm pretty sure they tried to attach Arnie to that but ended up with RCrowe who did a great job to his credit. GLADIATOR was a completely separate project that also had a long development way before Ridley Scott and Russell Crowe got involved (and Dolph had been sent out the script early on). But yeah, seeing that Jake Stormoen is listed and he hasn't heard anything of it, pretty much tells you this listed cast is not official at all.